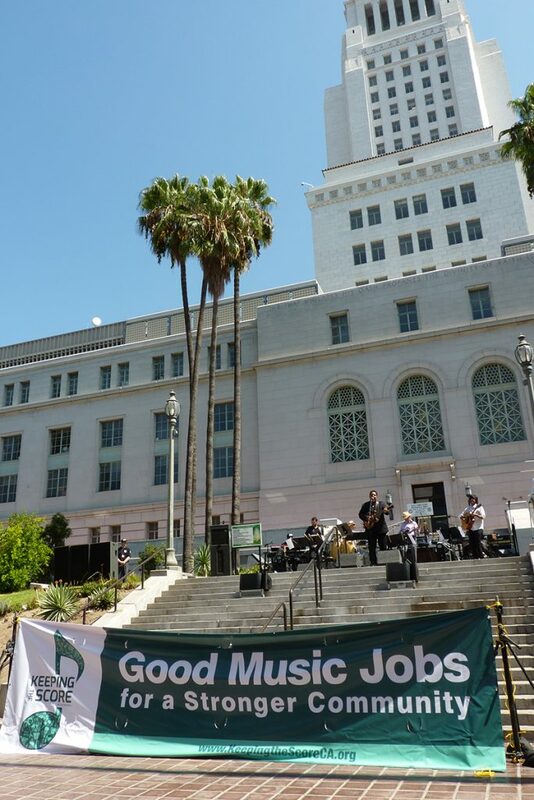 Variety: Musicians’ Union Members Stage Free Concert to Bring Scoring Jobs Back to L.A.
As part of an ongoing effort to return scoring jobs to California, some 150 music professionals supporting Los Angeles musician unions gathered on Saturday (Aug. 19) at Los Angeles City Hall for a free concert. 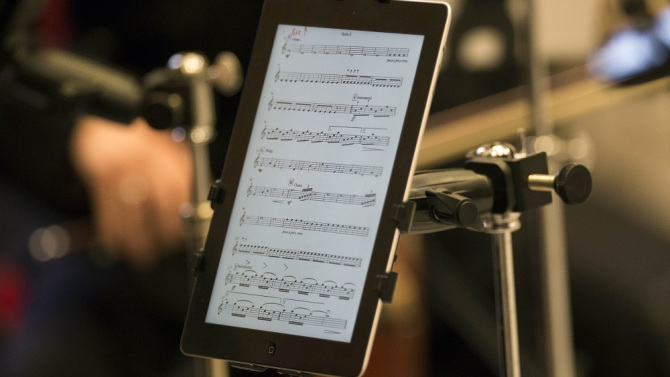 They included members of Local 47 of the American Federation of Musicians, SAG-AFTRA and IATSE; and other music groups including the Society of Composers and Lyricists, the American Youth Symphony, the L.A. Chamber Orchestra, and the Recording Academy of Los Angeles. This entry was posted in All News and tagged AB 1300, AB 1300 press, Ian Calderon, Keeping the Score in CA, Keeping the Score in California, KTS, KTS press, Music Scoring Tax Credit, Rickey Minor, Variety on August 21, 2017 by admin. Variety: Musicians’ Union Backs Legislation to Return Scoring Jobs to L.A.
Work for Los Angeles studio musicians continues to decline as production companies find cheaper alternatives elsewhere, so musicians’ union executives are backing California legislation designed to provide financial incentives to return film- and TV-scoring jobs back to Hollywood. This entry was posted in All News and tagged AB 1300, AB 1300 press, Keeping the Score in CA, Keeping the Score in California, KTS, KTS press, music scoring, Music Scoring Tax Credit, Variety on August 13, 2017 by admin.